Wafted in on an unseasonably warm breeze, amid cries of ‘I don’t know where the year’s gone’, the December SWOG newsletter is a seasonal offering of peace and contemplation. There is news of the 2016 RFS Excellence in Woodland Award, a new registration scheme initiated by the Surrey & Sussex Coppice Group to put owners in touch with woodland contractors and new forums for groups of owners on the SWOG forum. 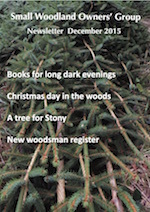 We have reviews of two excellent books, Lars Mytting’s Norwegian Wood and The Man who made things out of Trees by Rob Penn, as well as simple recipe for a simple Christmas day in the woods. With the mists swirling around in November, prepare yourself for the mellow fruitfulness of the SWOG newsletter. We are indebted to the Woodland Trust for inviting woodland owners to a free woodland restoration workship. Please contact Jim Smith-Wright (details below) if you are interested in attending. Lunch will be provided. Further details to be confirmed. Thanks to Mathew Woodcock of the Forestry Commision for alerting us to this useful offer. FACE – the Forest Advisory Consortium – are pleased to support Grown in Britain Week by offering all forestry and timber processing businesses operating in England a free 30 minute telephone consultancy from Monday 12th to Friday 16th October. This consultation can cover any aspect of business development, including raising finance, public sector funding, marketing, collaborative activity and innovation. FACE is a group of forestry sector organisations and individuals who have come together to provide support to forestry enterprises who are looking to grow their business, increase their use of British timber and contribution to the wider economy. Further details of FACE and contact details for the regional partners are available at http://www.forestryace.eu/. A glorious autumn is well under way, but once you’re back inside, take a look at the latest newsletter. Only 54 % of woodland owners and managers believe climate change will affect their woodlands – read more about the results of the 2015 British Woodland Resilience Survey, as well as a timely feature on foraging for food in the woods. There is also a link to video advice from the Forestry Commission about dealing with various tree diseases, and Rich’s account of a roundwood timber framing course. 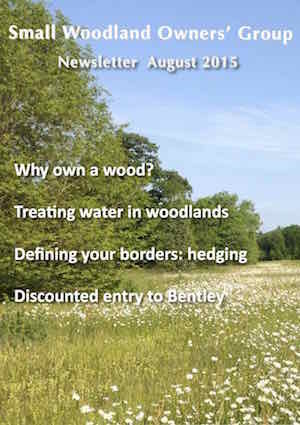 The September newsletter contains plenty of news, features and appeals to complete woodland surveys. 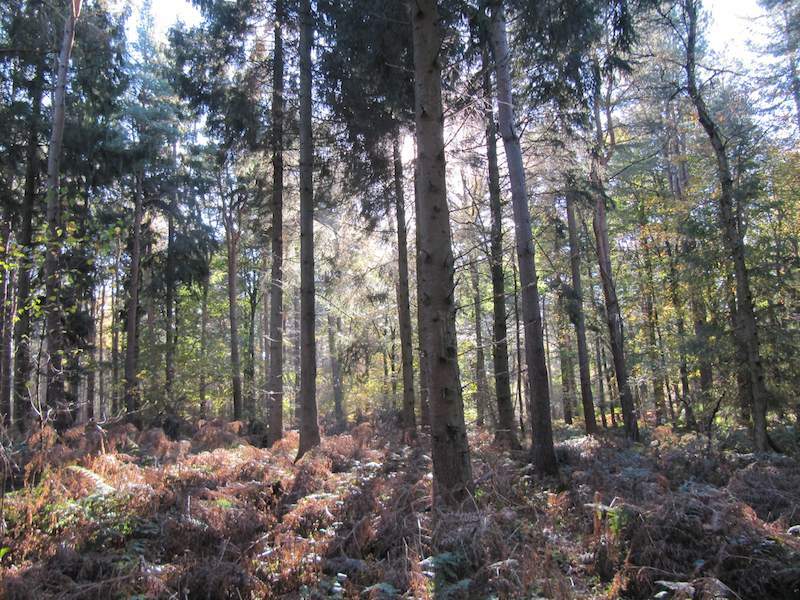 The Forestry Commission and Sylva want to hear your views – so tell them! Read about Freddie During’s tree-climbing course on the Isle of Wight. How about a trip to the Harcourt Arboretum near Oxford, the oldest botanic garden in the country? 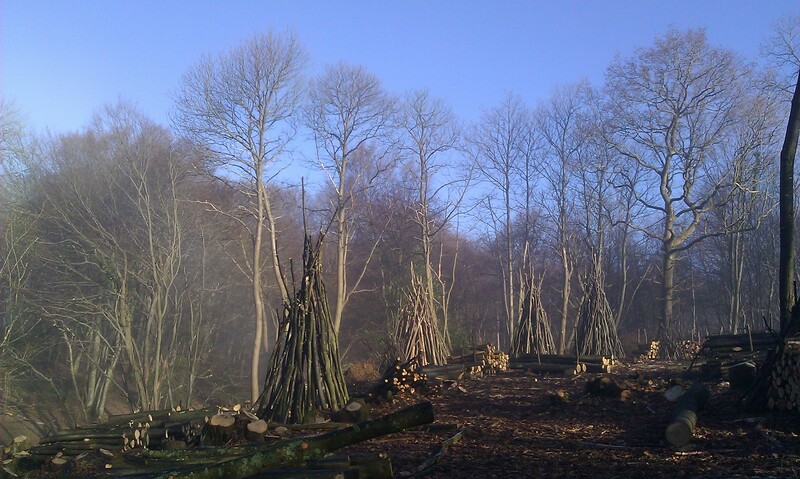 There are a number of woodfairs and other events on the horizon, including a SWOG meeting in Kiplin Wood, Yorkshire on 11 September – email Judith if you would like to join in. Finally, don’t forget to stop by the SWOG stand at the Bentley Woodfair in Sussex on 18, 19, and 20 September – we’d love to see you! England’s woods are a crucial part of the English countryside that provide a range of benefits to their owners and in doing so, enhance our wider landscape, ecology and economy. Woodland owners play an important role in helping to grow and expand woodland in Britain, while boosting their businesses and the forestry sector. The Forestry Commission wants to help those woodland owners and agents like you to make your woodlands work for your business through effective management. We want to give you the support you need to access woodland grants, create effective management plans and turn your woodland into a profitable asset. Not only do well managed woods help to boost the bottom line, but they are critical in improving bio-diversity, tackling climate change and increasing public access to spaces for recreation and relaxation. If you own a woodland that has a canopy cover of at least 20%, open space and felled areas that are awaiting restocking we’d appreciate it if you could assist us by completing this survey before 19 August 2015. As a thank you for fully completing the survey, you will be entered into a prize draw, where one person will win a £100 Amazon voucher, so please make sure you include your contact details at the end. Your details will not be shared with any third party. 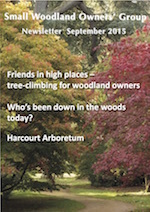 The latest SWOG newsletter is a sun-filled extravaganza of woodland entertainment. First, our good friends at Bentley are offering an early-bird discount to the 20th anniversary woodfair on 18-20 September. There are wonderful contributions from woodland owners: George Smith explains why he decided to buy a wood and describes the sheer fun it gives him and his family, while Andy Malleson describes how he created a hedge with help from family and friends. The British Woodlands Survey will explore how woodland owners are working to adapt their woods for climate change: please take the survey which is hosted by the Sylva Foundation here. Finally, John Clark explains how to purify water in the wild. Following the popular meeting in Yorkshire in March, we can look forward to another on Saturday 12 September. Two SWOG families have kindly agreed to jointly host a meeting in their woods near Catterick in North Yorkshire. These two woods, which were once part of the Kiplin Hall estate, are slightly different. One has a mix of broadleaf and conifer and is geared towards amenity ownership; the other, with its mix of coppice with standards, is a valuable source of wood fuel. It promises to be a SWOG meeting full of interesting discussion. Ben Scotting of Rural Development Initiatives will be on hand to answer any questions and talk about (Planting on Ancient Woodland Sites (PAWs) and Ancient Semi-Natural Woodland (ASNW) issues.